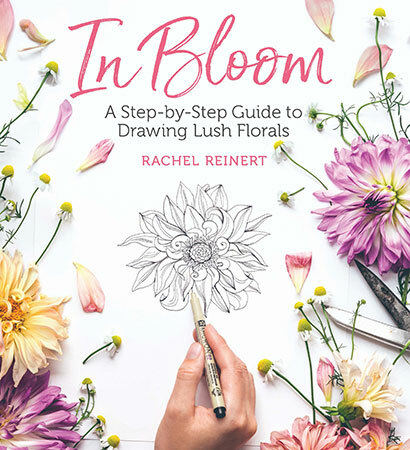 Rachel Reinert, author of adult-coloring sensations Botanical Wonderland and Desert Wonderland and the bestselling coloring-instruction book Color Workshop, uses her trademark straightforward, step-by-step instruction style and gorgeous photography to teach artists at every skill level how to draw more than 30 beautiful flowers from around the globe. Blank pages for drawing practice are included for each bloom, as is a special section on how to color your own floral drawings. Including everything from common favorites such as tulips, roses, violets, and tiger lilies to exotic flowers such as proteas, kangaroo paws, birds of paradise, and passion flowers, In Bloom is a thrilling exploration of florals the world over.